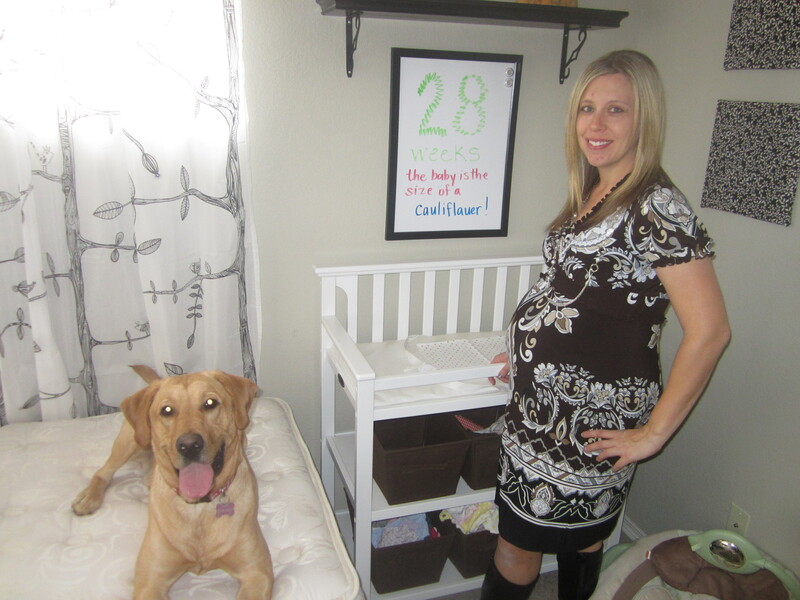 Maternity clothes: I love going all through the clearance racks and going a size up on clothes and putting them on! I have found so many cheap shirts and workout clothes for 4 or 5 bucks each! Stretch marks: Not yet! Woohoo! Fitness: I love walking with my coworker because it gets me outside. I also love watching Mike ride and race because it gets me all excited for this summer. I really want to make it to the gym more this week. It has been a very busy week! Sleep: Not too great. I have become a very light sleeper. A lot of it is anxiety and especially, being a litle uncomfortable. I keep having the craziest nighmares! Best moment this week: When I was sitting at Mike’s duathlon and was expecting the racer who was a little bit ahead of everyone on the run to come in first from the bike and then lo and behold, my husband is the first back!! The race officials were going crazy too. He is such a good rider! I was so proud! Miss anything: Blue Bell Ice Cream, Bosa Donuts, Pizza Hut Pizza, Thin Mint Girl Scout Cookies, the list goes on and on…and I can’t wait for mountain bike racing again! My legs can’t wait! Morning sickness: I actually have felt pretty good this week. Knock on wood, with the occasional low blood sugar and crankiness of not being able to eat awesome foods! Movement: She is so against anyone touching her. They were checking her heartrate at my appointment and she kept moving around. Any time I try to have Mike feel her, she moves away from him. Symptoms: Charlie Horses! Big time! Food cravings: See my above list. I do enjoy my almond milk shakes I make and I really like to eat apples with peanut butter. They are pretty filling. My doctor recommended Ezekial Bread and it’s pretty good with peanut butter on it too. Anything making you queasy or sick: When I eat too much chicken or beef. Have you started to show yet: Very dumb question. Labor signs: She is starting to feel more like a basketball. Belly button in or out: Still going strong and staying in! Woohoo! Happy or Moody most of the time: A little bit happier this week. Hoping for a good week with a lot less to do and more SLEEP. Looking forward to: Watching a friend race the Cupid’s 5K on Saturday and then we are off to Phoenix for President’s Day Weekend. We are hoping to take the Lexus with us to sell! We will finally get rid of that dang thing!